The evening was a completely spectacular out on the Rio Tiputini. 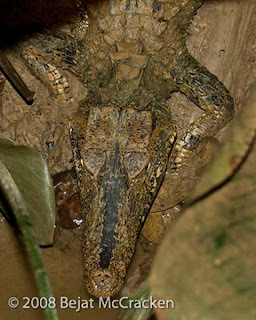 We saw all three species of caimen and even one that had been released by the station, a very large black caiman. Kelly Swing, the director of the station, said this individual was about 7 feet long and about 6 years old. I was in awe. We must have seen about 9 individuals in total. I got some amazing photos and video too. I feel so fortunate to have witnessed such a spectacular sighting, especially on such a brightly lit night. The moon was so bright and the sky was so clear. We could see every star in the sky and even the Southern Cross. It was my first time to see this constellation that sits very low on the horizon. We usually do not see it because of its proximity to the horizon and the trees. The Southern Cross is one of those constellations that can only be seen in the Southern Hemisphere. I am sad to say that Lucha has flown the coop. Lucha was the pet Trumpeter that was a gift by the Waorani to the other Director of the station, David Romo. She began acting more like a wild bird than a pet by not attending meals to be feed, not begging to be pet and roosting in trees rather than the workers housing. She seemed to be breathing heavily and groups of Trumpeters had been coming through and near camp for many months. These groups seemed to be enticing her to leave. One day she was here and the next day gone. We believe her biological clock was ticking and she felt the need to pro-create. She left about 3 weeks ago and we we all hope she is happy as a free bird. Although, she was always free to do and go wherever she wanted. She just acted scared to do so. This past week I went to Quito to run errands and pickup supplies. I seem to be rather good at it and got the list from hell accomplished in three days. We also met with Jorge and Martin from Finding Species and discussed our grant proposal for NSF that is due July 9th. Not much time to prepare, but hopefully Shawn has become so proficient that he should not have a problem getting something together so that Margo, also from Finding Species, can officially write the grant. 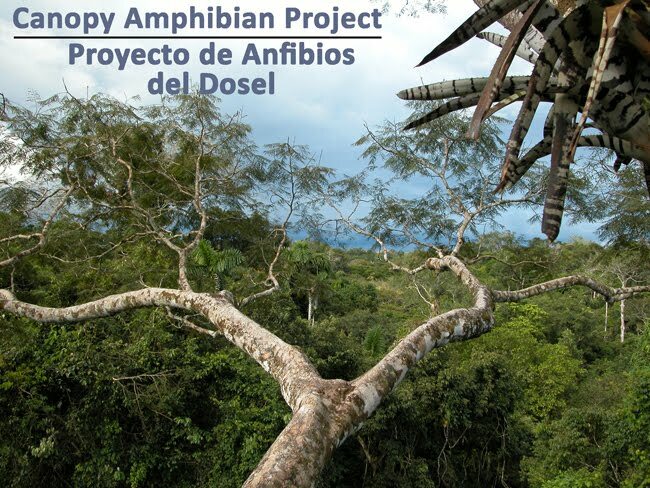 Finding Species is a non-profit organization that the TADPOLE organization has been collaborating with over the years. Photos I have taken over the years in the Ecuadorian Amazon and more information can be viewed on their website at www.findingspecies.org. Today was stellar, besides babysitting the GPS and preparing to pack up and leave. I headed out to the Salt Lick to prepare for my next Tapir sitting. I did not make it there, for I was distracted by the monkeys. At the intersection of the Matapalo and Harpia trails their was three species of monkeys. I saw Woolly, Howler and Spider monkeys. It was very difficult to decide which group to follow and I found myself running circles at times. After the first few laps I decided on the Howler monkeys and stuck with them for about 1 hour. The sky was bright blue and the lighting was perfect. I will be excited to see what my video footage looks like. Another day and night in this amazing place makes me feel the time slipping through my fingers and the moments are passing more rapidly. It is like opening a rare vintage bottle of wine, after one glass you fear there is only a few more left and you savor every last sip. Those last few sips become intensely gratifying, yet inexplicably intense. I am getting to my last few sips here at TBS and I just want to swirl it around in ecstasy. It has been quite some time since our last entry due to power and internet issues. These are things that we take for granted, especially in the Western World, along with many other unimaginable things. That is why I believe that we should be grateful for all the simple things in life. No matter how difficult things may seem, we must remember how fortunate we are for the natural world that surround us, family, friends and all the luxuries we take for granted that make our lives so much easier. Issues always seem to work themselves out and we find that we are not who we began as, so we are changing daily. Finding ourselves again, developing mentally and physically, becoming better people. We have had equipment failure and Magiver repairs. Some work, some do not. Most of these repairs have been with the GPS antenna, however, there has also been my camera lens too. The humidity has been the culprit we assume, except for the lens. I am now the official GPS base station babysitter. So, that means I hang out with GPS base station that takes continuous points in camp. This provides Shawn with more accurate points when when averaging with points taken in the field by Shawn's assistant, Travis. 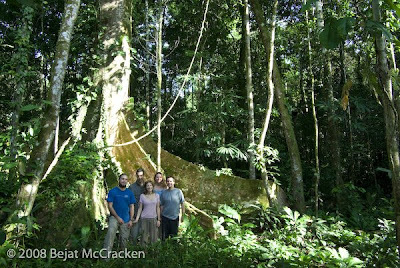 Over the next week we preparing for our move to the Catolica Research Station and finishing our work up here at TBS. Travis has been working in the Puma plot surveying for trees with bromeliads and taking GPS points for these trees. He is also sorting insects to Order that were found in the bromeliads. My Tapir excursions live on, tonight I sat at a salt lick. The Tapir was all around me but did not enter the salt lick. I found that I was in a bad location. To small of an area for a human because I believe she could smell me in this refined space that was down in a crevass. They have an immensely long nose and they use it well, it is their most heighten sense. Plus, the moon light did not allow me to be camouflaged in the shadows. So, I am back to the Harpia location. This location has a blind and is more open, just not as frequently visited. I will keep you posted once I am successful.